White frosted glass with rich bronze finish for a crisp clean new look. Candlestick style drop pendant with matching hardware and round ceiling plate. Easy to install fixture. Frame is made of lightweight and durable resin. Use with (1) Medium, Type A, E-26 - E-27 bulb(s) - 100 watt max. Bulbs sold separately. The cornerstone of the Providence Collection is quality, and this mini pendant is no exception. Combining a classic olde bronze finish and posh styling, you will find no better way to highlight the charm of your home. With the superb craftsmanship and affordable price this fixture is sure to tastefully indulge your extravagant side. The one-light mini-pendant in the Cirrine collection appeals to the creative spirit within all of us. Hand formed arching elements are highlighted by an artistic painted finish the feathers from a rich bronze tone to a vintage brass accent. Etched white glass complements the artistic frame. Bronzed Candlestick and Frosted Glass Mini Pendant White frosted glass with rich bronze finish for a crisp clean new look. 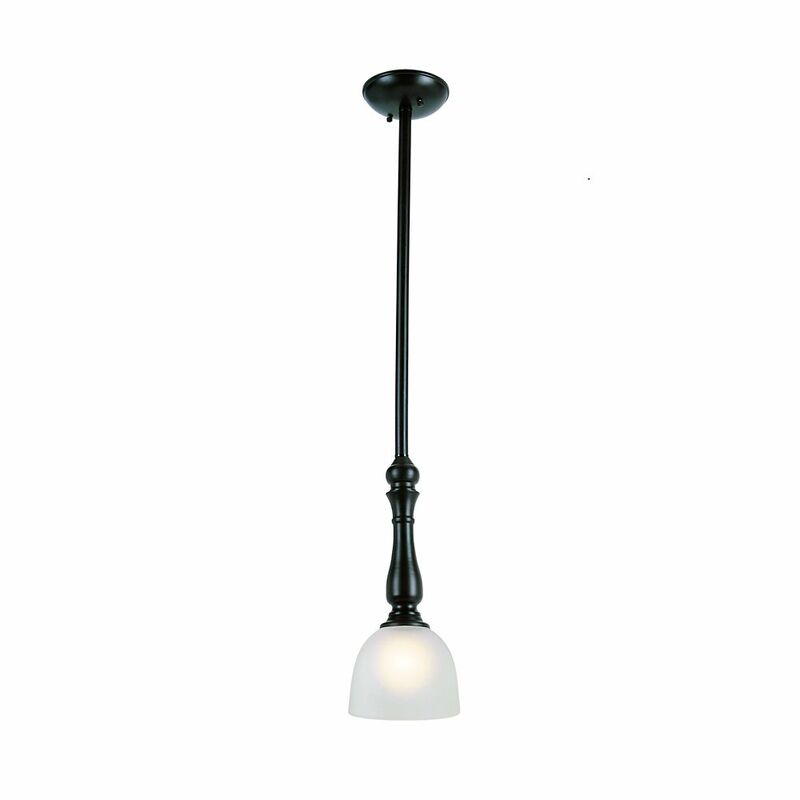 Candlestick style drop pendant with matching hardware and round ceiling plate. Easy to install fixture. Frame is made of lightweight and durable resin.